a division of GreenScene Irrigation & Landscaping | #1 Contractor for Outdoor Living Spaces in Middle Tennessee! Protect the integrity of your backyard and add beauty at the same time! Retaining walls help control erosion! There's no denying water can be a destructive force. But often it's not the visible of effects of water run-off. It's more of that slow, continual surface and sub-surface washing away of your valuable top soil. 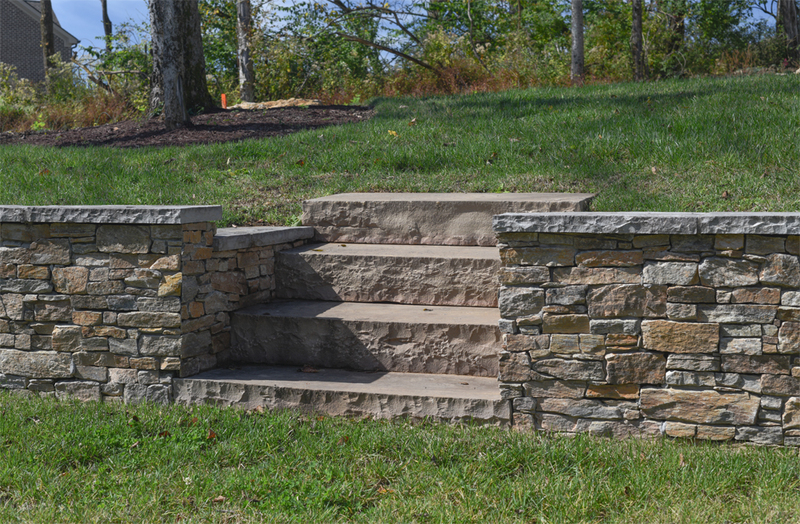 Retaining walls and steps can greatly reduce the negative effects to your yard and property. Plus, we'll work with you to create a permanent design sure to add beauty and functionality to your backyard. 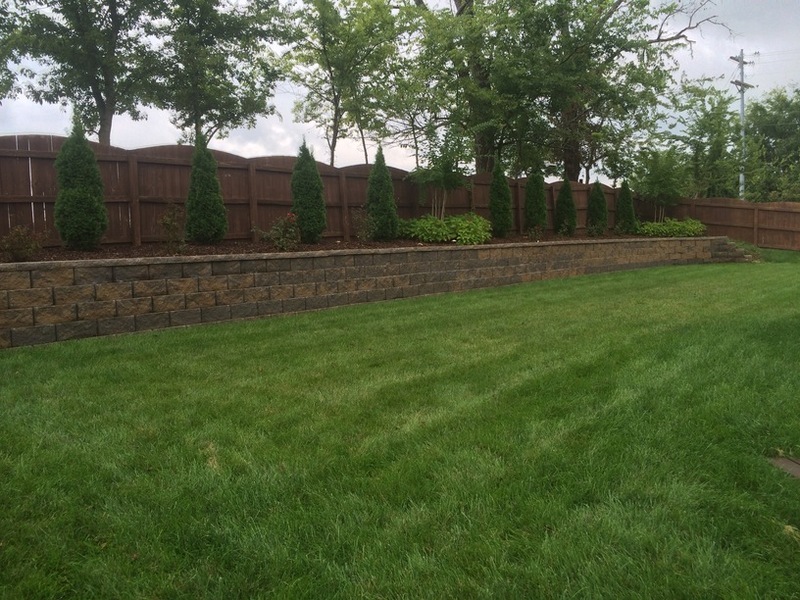 Our professional team of design specialists can show you just how affordable a beautiful retaining wall can be. Whether you have a complete set of working plans or just notes on a napkin, we work collaboratively with customers. Our project managers will share options and product choices guaranteed to meet your expectations and budget. What separates Tennessee Hardscapes & Patio from our competitors are our installers. Our trained and experienced construction specialists have years on the job experience. We can build your custom dream because we've done it countless times before. 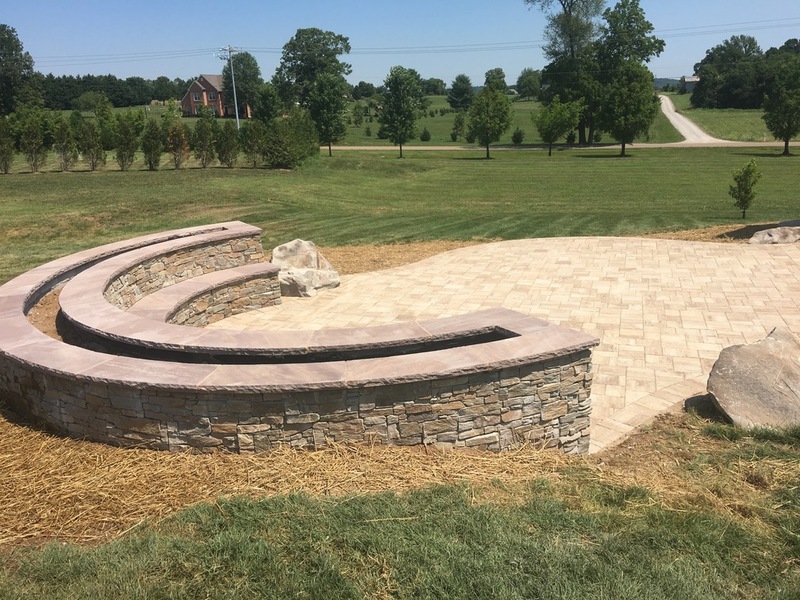 Whether you want an outdoor fireplace with stone pavers or a simple retaining wall, we can show you how your dream not only increases enjoyment of your home, but can actually add value! Request your FREE, on-site consultation, and let's get started today! Your NEW outdoor living space is more than just a beautiful addition. 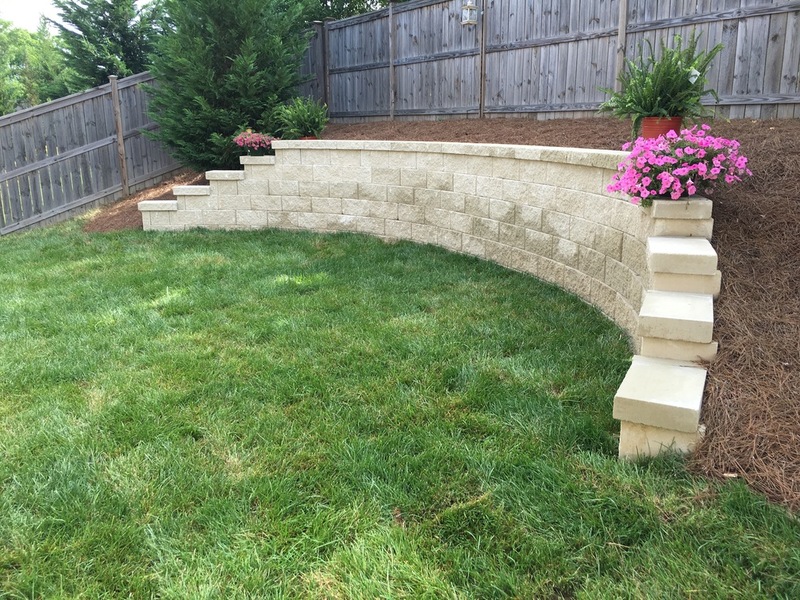 A professionally designed and installed retaining wall with steps can add tremendous re-sale value to your home. While you're relaxing with friends and family, you can also take comfort in knowing you're backyard investment is actually making money for you! We provide professional written estimates for every project. We meet project benchmarks, timelines and keep the lines of communication open throughout the process. We have our own team of seasoned installers with 20+ years on-the-job experience. Small or complex, we routinely build outdoor living spaces that exceed our customers' expectations. Our reputation has been built on experience, but it's powered by the trust of our customers. We value you! Got a vision for your patio? Share it & get a FREE estimate! Got a VISION for your Outdoor Space? Get a FREE on-site home consultation today!